The special mixing effect of cement or bentonite with water is archived in mixer by a high turbulence created in the pump casing. This turbulence with its high shear forces separates the cement or bentonite particles which results in a fully hydrated suspension. The slow stirring paddle prevents the grout from settling out of suspension and removes any air bubbles from the mix. 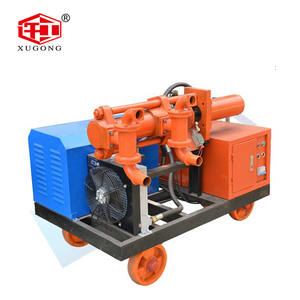 The grout injection pump is high in pressure,stable in flow,reasonable in structure and easy for operation. 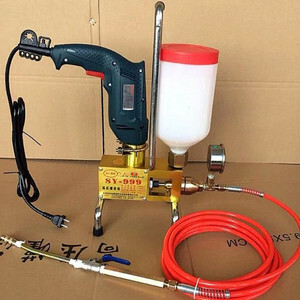 It is applied tu grout injection for dam foundation,batholith curtain,slope,tunnel and foundations for other relative frinforcement projects. 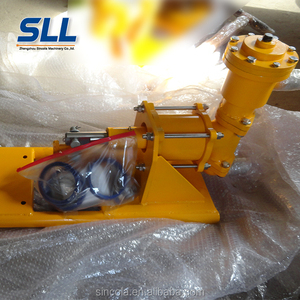 2-SNS150/3.5 grout injection PUMP 3-ZBB180/6 grout injection The pump features compact stucture,smal size, light weight and easy operation. also can be used on the building's outer wall and mat coat spraying. Main Features: 1. Good applicability,grouting and spraying process allowed. Services: 1.OEM service available; 2. Online technical service at any time. 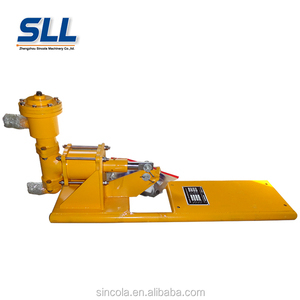 Displacement and hole depth can be adjusted according to the application, the deepest can be adjusted to the application,the deepest can be used with 1500 meters dril l ing rig,it also can be used cement perfusion. 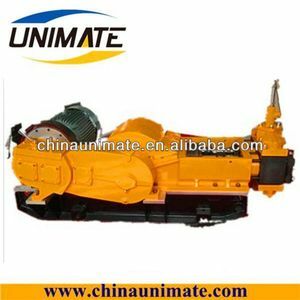 1.it has four grades flow to meet large or small diameter drilling need,the adjustment scope is wide. 3.there are 5 antidust sealed rings to prevent mud entring machine. 3. Mobile is very convenient for a person to move. We have CNC machining center, CNC lathe, boring machine, and milling machine. We sincerely hope to have the opportunity to co-operate with you. 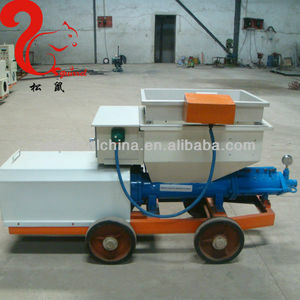 Alibaba.com offers 87 high performance grout machine products. About 17% of these are concrete pumps, 11% are other construction machinery. 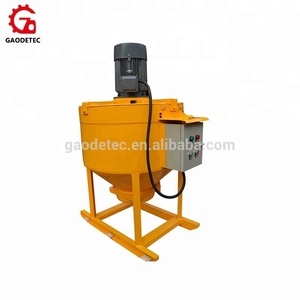 There are 87 high performance grout machine suppliers, mainly located in Asia. 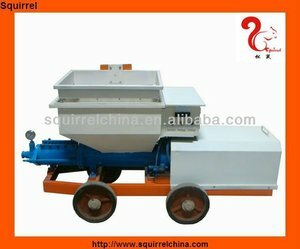 The top supplying countries are China (Mainland), Egypt, and Japan, which supply 97%, 1%, and 1% of high performance grout machine respectively. 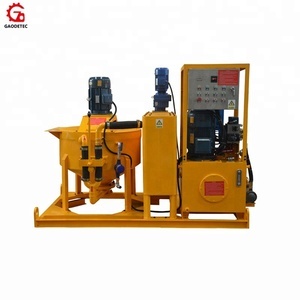 High performance grout machine products are most popular in Mid East, Southeast Asia, and Domestic Market.